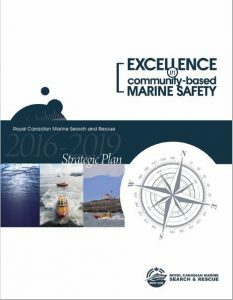 Marine distress calls initiated in our region are managed by the Canadian Joint Rescue Coordination Centre (JRCC) in Victoria. The JRCC is staffed by Canadian Forces and Canadian Coast Guard personnel and is manned 24 hours a day. 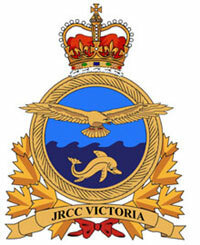 JRCC Victoria is located at Canadian Forces Base Esquimalt and is responsible for planning, coordinating, controlling and conducting aeronautical and maritime search and rescue (SAR) operations within Victoria’s Search and Rescue Region (SRR). In addition, JRCC co-ordinates search and rescue units’ response for humanitarian incidents in accordance with national policy and regional directives. Once JRCC is notified that a person(s) is in danger, the SAR Coordinator organizes the rescue. All available information about the person(s) in danger is gathered and recorded and the positions of potential assisting resources in the area of the incident are determined. SAR Coordinators are trained to evaluate various situations and send the most effective resources to deal with a particular incident. We have Rescue Stations in 33 communities on the West Coast and in the Interior of B.C..
Our locations range from large urban centres like North Vancouver, West Vancouver, Victoria and Nanaimo, to small coastal communities like Port Alice and Deep Bay. Each station has at least one dedicated search and rescue vessel and a local crew on call around the clock, 365 days a year. Locations are chosen based on the marine safety needs of the area, the proximity of other search and rescue resources, and the capacity of the community to support a station.